2010 Chevrolet Tahoe Hybrid 4x4 6.0L 3rd row seating!!! 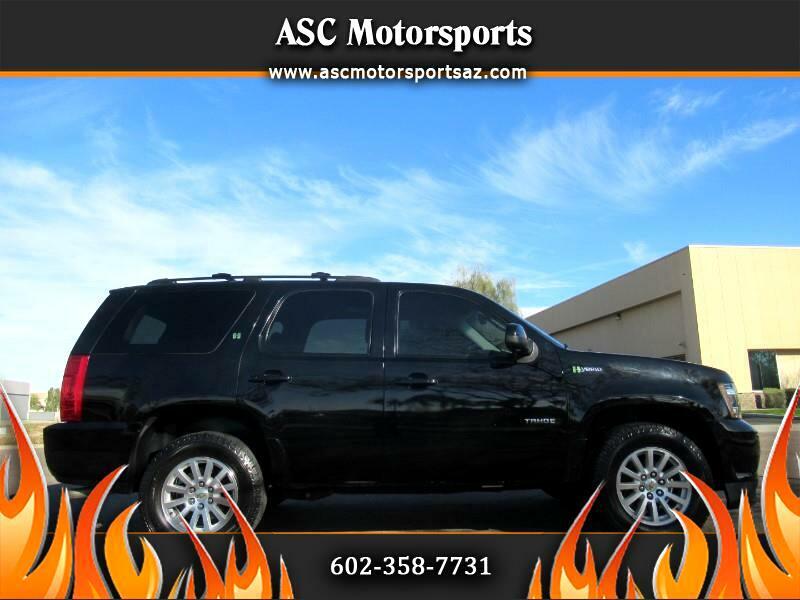 Beautiful Black Tahoe with black leather interior, brand new hybrid battery with 5 year warranty!!! !, only 2 owners and 104k miles, looks, runs and drives great, 4 wheel drive, ice cold A/C, navigation, parking sensors, back up cam, DVD, power windows, power locks, power steering, power mirrors, dual power seats, cruise control, tilt wheel, AM/FM touch screen stereo, CD, running boards, tow package, tinted windows, moon roof, 18" factory chevy wheels, good tread tires, 3rd row seating & more!!! Priced at only $16,888 + Tax, title and doc fees!! !